A 64-year-old woman from Heerenveen who was biking on the Oranje Nassaulaan in Heerenveen was hit by a lorry driver, who did not stop following the collision. 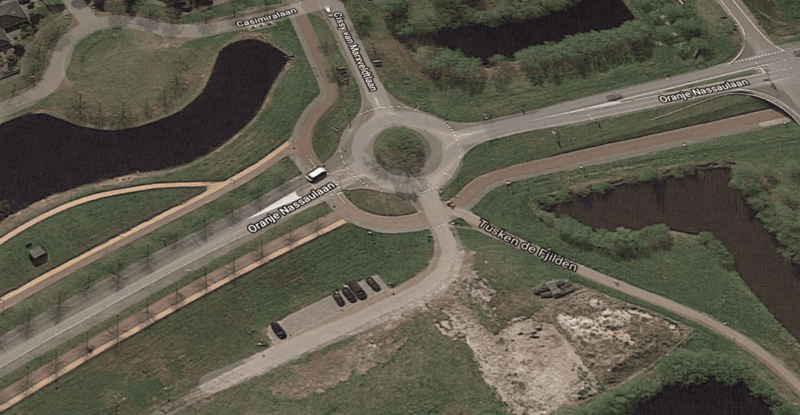 The Leeuwarder Courant reports that the woman, who was found injured by the roundabout was taken to the hospital to be treated for her injuries. Her bike was destroyed after being dragged along underneath the lorry for several hundred meters. Witness described the vehicle as a red lorry with a white trailer with two vertical stripes on the front of the cabin. The police have issued an alert for people to be on the lookout for the lorry, and anyone who sees it is encouraged to call 112. The police are not sure if the lorry driver was aware that they struck the woman. A lorry driver who had driven on the Oranje Nassaulaan on Thursday morning went to the police station because he was worried he may have hit the woman, but his truck did not match the description of the vehicle in question.